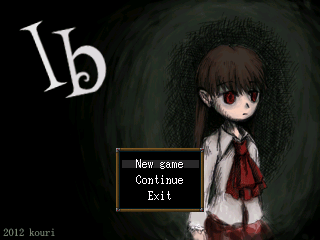 Ib (pronounced "Eeb," similar to "Eve") is a freeware horror adventure game by Kouri made in RPG Maker 2000. The game is focused on exploration and puzzle-solving. There are no battles, and it does not demand quick reflexes. It's designed to be accessible to all kinds of players, so enjoy.